Italy’s Five Star Movement (M5S), an anti-establishment party, has failed in its attempt to join a pro-EU free market group in the European Parliament after publicly ditching its alliance with the UK Independence Party (UKIP). In an embarrassing blow to M5S’ founder Beppe Grillo, the Alliance of Liberals and Democrats for Europe (ALDE) rejected the radical Italian party on Monday, citing deep-rooted incompatibilities. “There is insufficient common ground to proceed with the request of the Five Star Movement to join the ALDE Group,” former Belgian prime minister and leader Guy Verhofstadt said. “There remain fundamental differences on key European issues,” he said. M5S said it would try to form a new group called the Direct Democracy Movement in time for the next parliament in 2019. Party members backed founder Grillo’s call and voted overwhelmingly to leave Europe of Freedom and Democracy (EFD), the anti-EU political group in the European Parliament of which UKIP is a member. Almost 80 percent of M5S’ 40,000 members voted in favor of severing ties with UKIP and other Euroskeptic parties in a move some believe is motivated more by pragmatism than ideals. 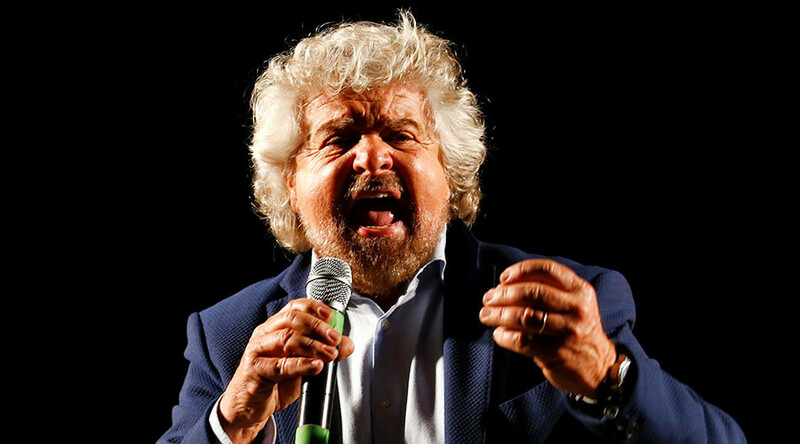 On the eve of the party’s vote, Grillo wrote an open letter to his members in which he explained how M5S no longer shares common goals with UKIP. “Recent events in Europe, such as Brexit, have led us to reconsider the nature of the EFDD group,” he wrote. “With the extraordinary success of the leave campaign, UKIP achieved its political objective: to leave the European Union.